SEO isn’t how it used to be. We’ve spoken at length about that before, but there are still basics that are under your control and these best practices will remain fairly static for the foreseeable future. These elements are under your control and the majority will be required every time you upload a product or create a new category. If you’ve gotten out of the habit of doing as you go along, perhaps it time to review a couple of things. Write for customers, not search engines. Title Tags are most often seen as the blue links that are shown in search results. Every page should have a title tag and they remain as one of the most important things search engines look at when they are trying to understand what a web page is about. 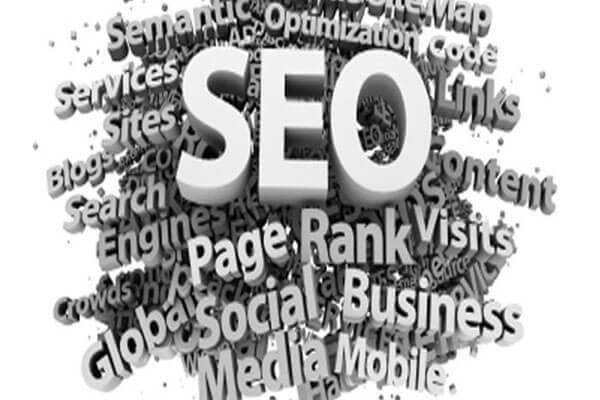 They are an important part of SEO. The title tag should state what the page is about. It should reflect too, the keywords that you wish that page to rank for. Each page on your site should ideally be targeted to a single keyword or phrase. There is lots of advice “out there” on how to write title tags – but stick to writing title tags for humans, as opposed for search engines, and you are on safe ground for the long term. When adding a title tag, do not stuff it with keywords. Simply try to state exactly what the page is about. Keep title tags descriptive and pithy – think what will help a user and how your title tag will look to a human on a search results page. Keep it to under 50 characters and ideally to less than 4 words. Google no longer displays a fixed amount of characters in their title tags. It now shows as many characters as it can fit into a 512-pixel display. (With a “W” taking up more pixels than “I”) If you keep your titles under 55 characters, you can expect at least 95% of your titles to display properly. Search engines may choose to display a different title than what you provide in your HTML. Titles in search results may be rewritten to match your brand, the user query, or other considerations. Google is a semantic search engine, so there is little reason to try and optimise for both “Fast Cars & Automobiles” as semantically, these are the same thing. Meta Descriptions are the snippets of text that appear on search engine results pages below the blue title (usually the title tag). These are your chance to convince the user to click on your listing, over and above the results above or below you. Meta Descriptions are the very start of the customer journey. Their experience of your site and you’re your business starts with those two lines – make them count! Your descriptions need to do all of these things in order of importance. Think about those search results pages – perhaps even look at the pages that yours will be competing against. How could you stand out and position yourself better? It’s where SEO and merchandising meet. Keep your character count to around 155 characters, 160 is the limit, after which your text will be truncated. Keep control of your adverts appearance and messaging by controlling your description length. Writing thousands of meta descriptions is hard work. Being entirely original every time is difficult, especially on E-Commerce sites where there can be thousands of similar pages. So a tip is to establish some building blocks of your company metas – for example if you offer free shipping, every meta description could/should have “Free shipping on every order” as part of the 155 characters. Tag lines are also useful in meta descriptions – they generally sum up extremely well what a brand is about and it’s a brand message the is repeated throughout the sales cycle and ties up with your raison d’etre. Confirm page purpose, special offer, tag line. Any way you wish to do it is fine – but do do them. Meta descriptions are NOT a ranking factor in most search engines. However, pages that are deemed popular, with a high Click Through Rate (CTR) and a high retention rate once on site will naturally rise up the rankings. Your meta description help you influence that CTR as well as your bottom line. If no meta description is added, search engines will generate their own, usually based off the first bits of text they find on your site. When pages are shared on Facebook, usually your meta description also becomes the share description. That’s often ok, but there is naturally a gap between what attracts someone onto a site, to what someone would want to say when sharing a resource they like. To set your Facebook share descriptions, implement Open Graph Meta Tags and take control of your social shares. These are used by search engines to understand what a page is relevant for. They are a list of words and phrases appropriate to the content of the page. However, and this is important, Meta keywords are no longer used by either Google or Yahoo. Bing uses them only as a SPAM signal. Bing, Yahoo and Google make up perhaps 99% (at least) of the organic search traffic mix in the UK. So spending time on meta keywords is a waste of resources. As a marketer though, in a competitive environment, coming across a competitor site that does have them, gives a lovely insight into what that company is trying to rank for and new opportunities that may have been missed – don’t give your competitors that luxury. If you’re taking a pragmatic approach (ie you’re busy), just ignore the keyword tag from now on. If you have a CMS that forces you to add keywords, simply copy and paste the title tag and move on. If you’re worried about Bing Traffic, remove the keywords on your pages – particularly on those pages that have too many keywords, especially keywords that don’t also appear in the pages content. Every business is different – but my generic personal recommendation would be to remove the keyword tag from all pages across your entire site as well as disabling it from your site’s admin – this cannot be undone however – your time and effort over the years of writing keyword lists will be lost. But should you make the decision to proceed, simply speak to your developer. This isn’t strictly SEO, but almost certainly, e-commerce sites running AdWords will be using them –don’t fall into the bad habit of overlooking or forgetting about them. Google categories are assigned to every product on your website within a product feed and by adding them and keeping them updated, you increase the chances that your products will be included in relevant shopping categories. Within Eventure’s web admins, they are usually set at the Department, Category and sub category level. When creating a new category (or sub cat), ensure you assign an appropriate google category. Usually, this is done under an admin heading “Edit Marketing” although every CMS may differ. If you are unsure how to do this or need a refresher (or worse still aren’t running google shopping/adwords), get in touch and we’ll give you a help hand.